To go it alone as a single parent is a daunting undertaking that can be challenging to even the most intrepid among us. Allison Eastman, however, has faced that challenge head on, and with the help of her recent business achievements is single-handedly forging a brighter future for herself and her children. 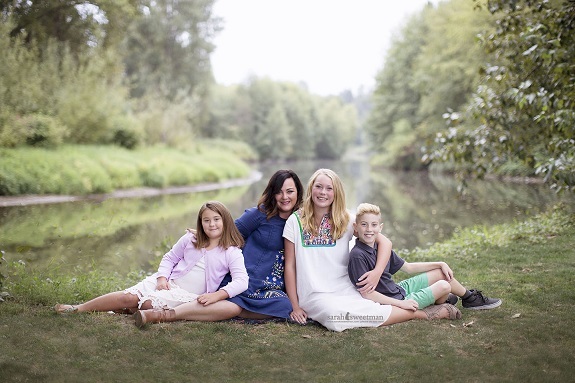 When Allison and her family moved to Seattle in 2012, she started her own hair and skin business and her high-end facials were a popular service. Over the years, she heard the name Rodan + Fields® mentioned with increasing frequency, always with glowing reviews. So, in 2015, she decided to try the products herself and bought the REVERSE™ Regimen. “By the third day I was already convinced of the product’s effectiveness, and after two weeks I noticed a difference in my skin’s appearance that even my high-end equipment hadn’t achieved. From then on I was sold.” She bought a business kit in order to spread the word to her clients and friends, slowly introducing the products into her facial service, figuring that they would help boost her business. But that strategy didn’t go exactly as planned. Allison works so her kids can explore and develop their talents. “When I looked at my monthly figures, I realized business had dropped significantly. I quickly figured out that my customers had stopped coming in for regular facials because the R+F products I had sold them were producing such great results. I had really shot myself in the foot!” She rang her Upline, Sarah Beyersdorf and explained her concerns. Sarah told her not to worry, and to concentrate on the positives. “She suggested that I get to work with my R+F business, and focus on the fact that my clients were loving the products. Without Sarah and her continuous support and advice, I wouldn’t be where I am today.” Allison heeded her advice, dedicated at least five hours a week to her R+F business, and within six months hit Level V. By December of 2016 she was able to re-focus her efforts on her R+F business and increase her hours to 15 per week. Her success couldn’t have come at a better time for Allison and her family. 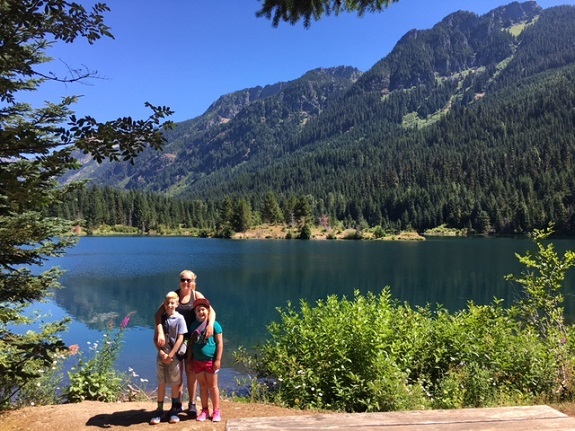 Being able to take her business on all their adventures is a huge blessing for Allison and her kids. In March 2017, Allison and her husband split, and she became a single mom to her three children. “I didn’t see it coming—it came as a real shock to all of us.” Fortunately, her Rodan + Fields success helped her overcome that shock. Being the leader of a thriving team of Independent Consultants had taught her a lot, and bolstered her confidence. Speaking at R+F Leadership Redefined events in front of hundreds of people had taken great courage, and unwittingly prepared Allison for the trials ahead. “I had to be my own attorney, so I stood up in court and defended myself. 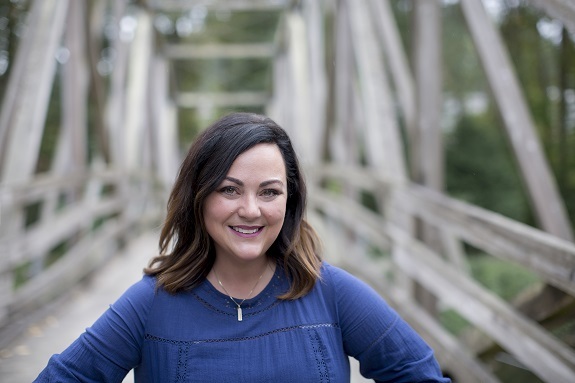 Before Rodan + Fields, I wouldn’t have had the confidence to do that.” That self-belief gave Allison the strength to prevail, and to take firm control of her and her children’s future. 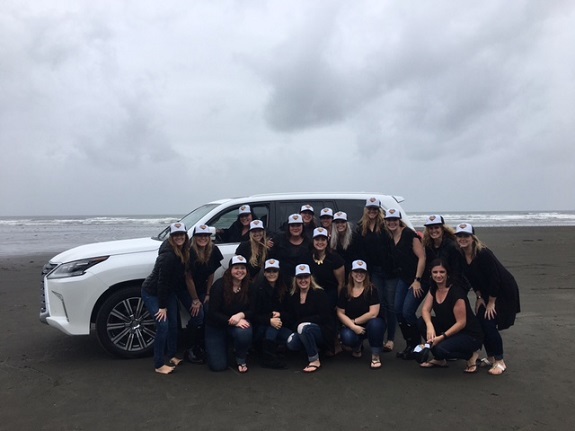 Allison and team members celebrating Sarah Beyersdorf’s Lexus at a team beach retreat. • Trait you most admire in others? Loyalty. • Most memorable gift you’ve ever received? A large portrait of my kids. It’s everything. • Dream vacation? Disney cruise for my kids or Europe for a month. • What is your best R+F experience? When I realized I was capable and worthy to get up and speak at Rodan + Fields events. • What was the biggest R+F hurdle you overcame? Learning to ignore what others think of me. See you at the top! So proud of you friend! Praying for your continued strength and perseverance.